Deborah Allen, PhD, is deputy director of the Los Angeles County Department of Public Health, where she heads the Bureau of Health Promotion. She served previously as director of Child, Adolescent and Family Health at the Boston Public Health Commission, as associate professor of Maternal and Child Health at the Boston University School of Public Health and as director of the Division for Special Health Needs at the Massachusetts Department of Public Health. Allen received the Maternal and Child Health Bureau Director’s Award and the Federation for Children with Special Needs Executive Director’s Award in 2016; the Coalition for Excellence in MCH Epidemiology Outstanding Leadership Award in 2014; the American Public Health Association Maternal and Child Health Section Outstanding Leadership Award in 2013; the Massachusetts Association for Behavioral Healthcare Children’s Behavioral Health Award in 2012; and the Boston University School of Public Health Excellence in Teaching Award in 2009, 2010 and 2012. She currently chairs the Maternal and Child Health Section of the American Public Health Association and serves on the board of CityMatCH, the national organization of urban maternal and child health leaders. Throughout her career, she has served on multiple leadership and advisory committees for maternal and child health programs at local, state and national levels. Emerald Archer, PhD, is the director of the Center for the Advancement of Women at Mount Saint Mary’s University. She has dedicated her career to studying questions related to gender equity and women’s representation in non-traditional domains such as the United States military. Through the Center, Archer's primary goal is to promote and increase gender equity in California and our region. She leads the Center's efforts related to applied research, education and policy analysis. She holds a PhD in political science from the University of California, Santa Barbara. 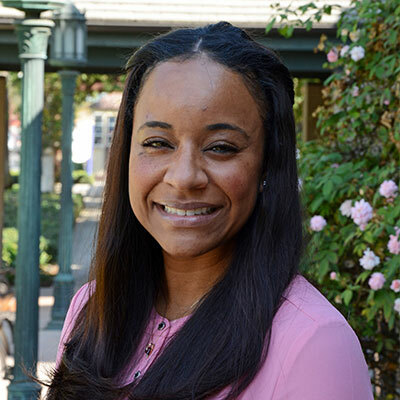 As a two-time graduate of the University of Southern California (USC) with a master’s and doctor of education degree in higher education administration, Bolen has served as a scholar-practitioner within postsecondary education for more than 17 years. Her experiences in student activities, disability services, housing and residential life, alumni affairs and multicultural affairs have contributed to her passion for serving a diverse body of students. 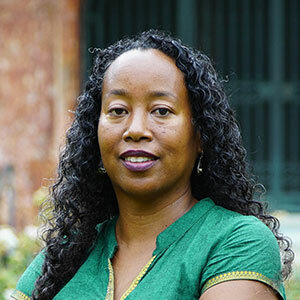 Her areas of research include racial identity development, diversity, college student experiences, and critical pedagogy and learning. Bolen’s work has centered on creating communities of care and inclusivity that honor and affirm all students, staff and faculty. 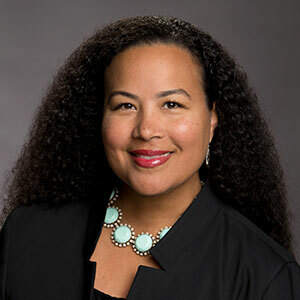 As Director for Diversity, Equity and Inclusion at Mount Saint Mary’s University, she provides leadership and vision for programs and services that promote diversity, equity and inclusion of all members of the Mount community. 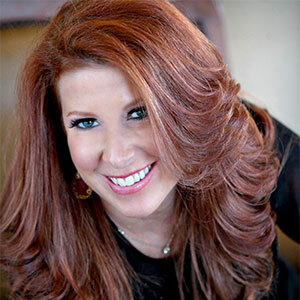 She also serves as adjunct faculty for the Rossier School of Education at USC. As an experienced litigator now serving as Nixon Peabody’s firm-wide diversity & inclusion director, Chiruvolu utilizes her career-spanning passion for diversity and inclusion in the legal profession to oversee the firm’s diversity initiatives. She develops trainings and other programming featuring inspiring thought leaders, and works with the firm’s practice groups and recruiting, professional development and business development teams to ensure that diversity and inclusion are woven into all aspects of the firm. Chiruvolu is an attorney who practiced litigation for almost 10 years. During this time, she was very active in various minority bar associations, advocating for greater diversity and inclusion in the profession. 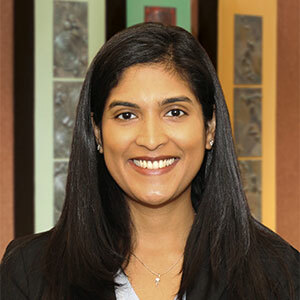 She is an active member of the South Asian Bar Association of North America and has served on its executive committee for a number of years. Alex Grimwade is the senior vice president of television production information technology and chief information officer at Twentieth Century Fox Television. 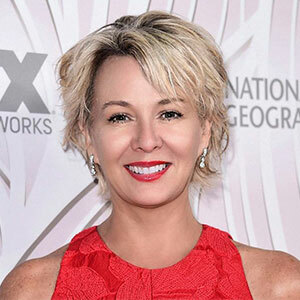 She has led successful technology strategy and development initiatives in media and entertainment since 1993, including key systems for Sony Pictures, Universal and Warner Bros. She specializes in the development of television production, distribution and intellectual property management systems. 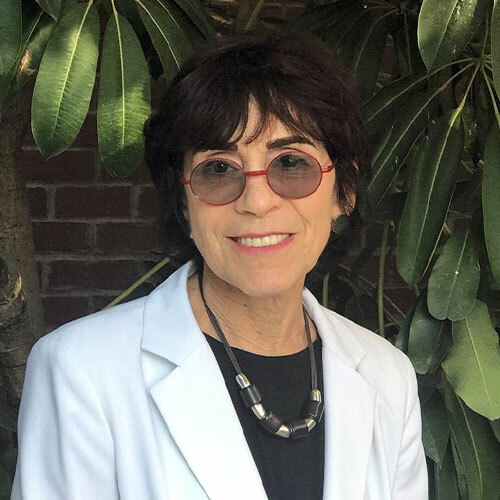 Grimwade is public advisor for the California Judicial Council’s Information Technology Advisory Committee, co-founder of Women in Technology at 21CF and a frequent speaker on behalf of women in technology. Andrea Hoffman is an advisor, strategist, author and the founder and CEO of management consulting firm Culture Shift Labs (CSL). CSL advises companies, cities and philanthropists on growth and innovation through diversity and inclusion. To address the lack of diversity in tech and venture capital, Hoffman created Culture Shifting Weekends in 2008, the nation's largest gathering of black and Latinx leaders in technology, innovation, investing and social impact. These events have enabled over $50 million in deals and collaborations. 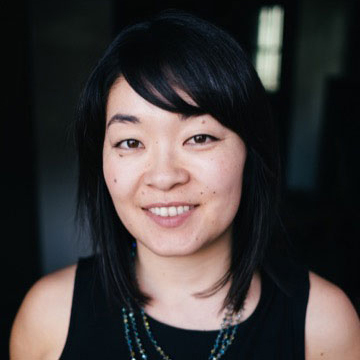 Naomi Iwasaki joined Investing in Place as deputy director in 2017 after serving on the advisory board as an original member. She manages the organization’s policy staff, strategic partnerships and external communications. Previously, she served as director of Neighborhood Services and Great Streets in the office of Los Angeles Mayor Eric Garcetti, overseeing eight city departments and the Great Streets Initiative, which prioritizes public resources to develop our streets as safe and vibrant public spaces. Iwasaki serves on the boards of the City of Los Angeles Affordable Housing Commission, Asian Pacific Islander Forward Movement, LA-Más and the Kaiser Permanente Research Bank. Dr. Ann McElaney-Johnson is president of Mount Saint Mary’s University, the only women’s university in Los Angeles. She has more than 30 years of service to liberal arts colleges throughout the country. Dr. McElaney-Johnson is a champion of innovative teaching and learning, and has a deep understanding of the changing landscape in higher education. She earned her PhD from the University of Wisconsin-Madison, an MA from Middlebury College, Vermont, and a BA from the College of the Holy Cross, Massachusetts. She serves on many boards, including as chair of the Women’s College Coalition, and speaks nationally and internationally about the advancement of women and girls. Shereen Marisol Meraji co-hosts NPR’s Code Switch podcast, which explores race, ethnicity and culture in America. Meraji has worked at NPR for over a decade. She started as a producer for national news magazines such as All Things Considered, and is now an award-winning on-air correspondent. 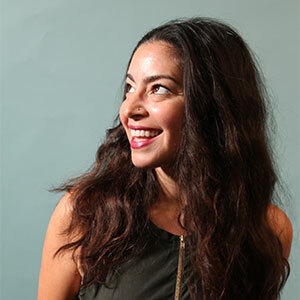 Meraji’s background, both Puerto Rican and Iranian, has played a role in her curiosity about race and identity in the United States. That curiosity has led directly to the most fulfilling work of her career with NPR’s Code Switch. Sen. Holly J. Mitchell is the proud daughter of career public servants, and she continued her family legacy of “firsts” when she became the first African American to chair the powerful Senate Budget and Fiscal Review Committee in 2016. 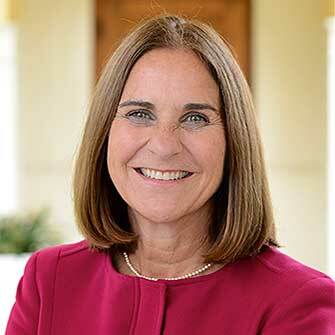 Less than two months later, a profile in The Los Angeles Times described Mitchell as the “Legislature’s moral compass.” She proved to be just that in 2017 and 2018 when she oversaw the adoption of consecutive state budgets of nearly $200 billion each and won wide praise for directing funds to elementary and college students, health-care systems and long-neglected programs to assist infants, the elderly, youth and working families. Kimberly Nao is a professor of education at Mount Saint Mary's University. She teaches courses on language diversity, professional development and equity issues specializing in the intersection of race and gender. She facilitates workshops as a consultant for Peace Pros LA and has trained police officers, K-12 educators and university faculty and staff with the goal of breaking down toxic gender norms that can lead to discrimination and violence. A certified yoga instructor, Nao has studied yoga philosophy in the U.S. and India. She researches yoga as a new pedagogical frontier and as a tool of personal and social transformation. Jennifer Siebel Newsom is The First Partner of California and a filmmaker, advocate, and thought leader. After graduating from Stanford’s Graduate School of Business, she wrote, directed, and produced the 2011 award-winning documentary Miss Representation. As a result of Miss Representation’s powerful impact, she launched The Representation Project, a nonprofit that uses film and media as a catalyst for cultural transformation. Her second film as a director, The Mask You Live In, premiered in 2015 and explores how America’s narrow definition of masculinity is harming boys, men, and society at large. Siebel Newsom is also an executive producer on two Emmy Award-Winning documentaries, The Invisible War and The Hunting Ground. Today, Siebel Newsom proudly serves as an appointed member of the Women’s Suffrage Centennial Commission, and also serves on the advisory boards for The Imagine Bus Project, The Common Sense Media Gender Initiative, and Emerge America. Siebel Newsom resides in Sacramento with her husband, California Governor Gavin Newsom, and their four young children. Tiffany Smith-Anoa’i is the executive vice president of entertainment diversity, inclusion & communications of CBS Entertainment. She oversees the entertainment division’s diversity and inclusion initiatives and develops new programs that recruit, nurture and hire inclusive talent to work in front of and behind the camera. In addition, she serves as the entertainment liaison to multi-cultural coalitions and provides outreach to agencies, guilds and other industry organizations. In 2018, Smith-Anoa’i co-founded and helped launch CBS EYE Speak, a program designed to promote female empowerment and help forge a path of growth and opportunity for women both inside and outside of the company. Sylvia Torres-Guillén is the ACLU of California's Director of Education Equity, leading the ACLU's statewide focus on educational equity and students' rights. She manages a statewide team, leading, creating and implementing a vision to promote civil liberties, civil rights and racial, economic and equal justice in education in California through legislation, litigation, and advocacy. Torres-Guillén is dedicated to protecting the constitutional rights of all children and students to ensure an equal, equitable and excellent educational opportunity for all, focusing on vulnerable students, including students of color, LGBTQ youth, immigrant students and low income students. 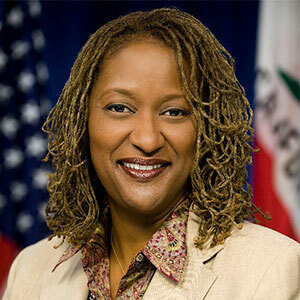 She previously served as special counsel to Governor Jerry Brown, Jr. Before that, she was appointed by the governor as general counsel of the State Agricultural Labor Relations Board, where, as chief prosecutor, she pursued complaints of unfair labor practices and sought justice for California's 800,000 farmworkers. Torres-Guillén was the first Latino/a ever to be appointed as general counsel for the ALRB. 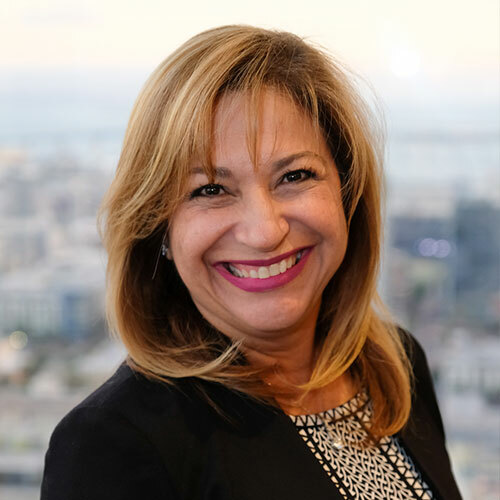 Betty Rengifo Uribe, EdD is the executive vice president and head of California Bank & Trust’s business and personal banking division. With 25 years of experience in the financial services industry, Uribe has held senior level positions in retail banking, business banking and strategic planning. Uribe leads a division comprised of 100 branches and multiple business lending teams throughout the state. 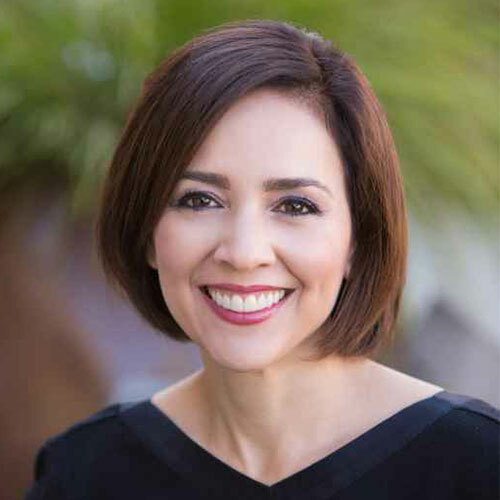 Before joining California Bank & Trust, Uribe served as Comerica Bank's executive vice president, western market manager, where she successfully transformed the California and Arizona markets into the company's strongest region. Before joining Comerica, she held several senior level positions at Wells Fargo Bank, where she led the bank's number one merchant payment solutions team in its footprint; she also served as national director of sales integration & market development and was strategy director for 300 branches in Southern California, the largest market in the company. Uribe is an international best-selling author of “#Values: The Secret to Top-Level Performance in Business & Life”. Kamili Wilson has more than 20 years of demonstrated experience devising and implementing highly effective brand awareness and social marketing campaigns for Fortune 50 companies and leading non-profit organizations. Informed by her extensive work on behalf of undeserved populations, Wilson is driven by a personal and professional commitment to fostering clear, effective communication and meaningful human connections. 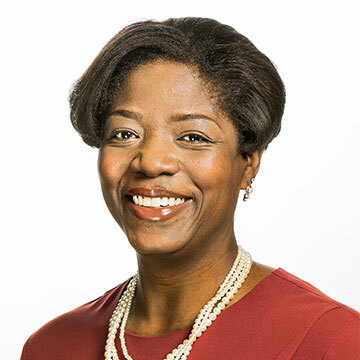 As Vice President of Enterprise Initiatives, Wilson serves as AARP’s strategic lead for ‘Disrupt Aging’ – an initiative designed to fight ageism and change the paradigm on culture and aging in America. In this capacity, she provides organizational leadership by ensuring strategic and operational alignment across AARP's internal departments, business units and subsidiaries, including AARP Services Inc. and the AARP Foundation. Reporting into the Chief of Staff, she serves as a senior advisor on sensitive issues related to various enterprise priorities, including CEO positioning.